What Online or After Hours Services Would You Like the City to Provide? We are looking for your input! We encourage you to take part in filling out this survey so you can assist the City with identifying online and after hours services the public would like to see the City provide that may not currently provided at this time. This survey will be conducted from Thursday, March 28, 2019 through Friday, April 19, 2019. * 1. What hours do you normally frequent City Hall to conduct city business? * 2. Do you prefer to handle business matters in person or online? * 3. Would you like City Hall open on Fridays? * 4. What services would you like to see after hours? * 5. What services would you like to have online that are not currently provided? Inspection scheduling for Planning, Building, Engineering and Fire. Applying online for permits to include, Planning, Building, Engineering and Fire. Electronic Plan check submittal for Planning, Building, Engineering and Fire. Thank you for your input on this matter. It is greatly appreciated. Disclaimer: While the City is appreciative of the community input, the results of the services online and after hours survey does not guarantee that these services will be provided. It is a tool the City will use to determine the needs of the public and assess if these services can be provided in the future. 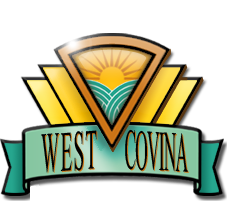 Surveys can also be completed in person by obtaining a printed copy of the survey at any of our City Facilities or e-mailing request for a electronic copy to Djohnston@westcovina.org. Surveys must be submitted to us no later than the deadline of Friday, April 19, 2019 at 5:30 p.m.